PAGeoContracting Ltd is the contracting arm of PAG. As a contractor for contaminated land, it offers a one stop shop for those who want single point responsibility for design, supply and installation of the PAG range of contaminated land solutions, materials and systems. It goes without saying that it meets all the criteria of our most demanding clients. PAGeoContracting is accredited by Worksafe, Constructionline, CHAS, Safemark and Safe Contractor. 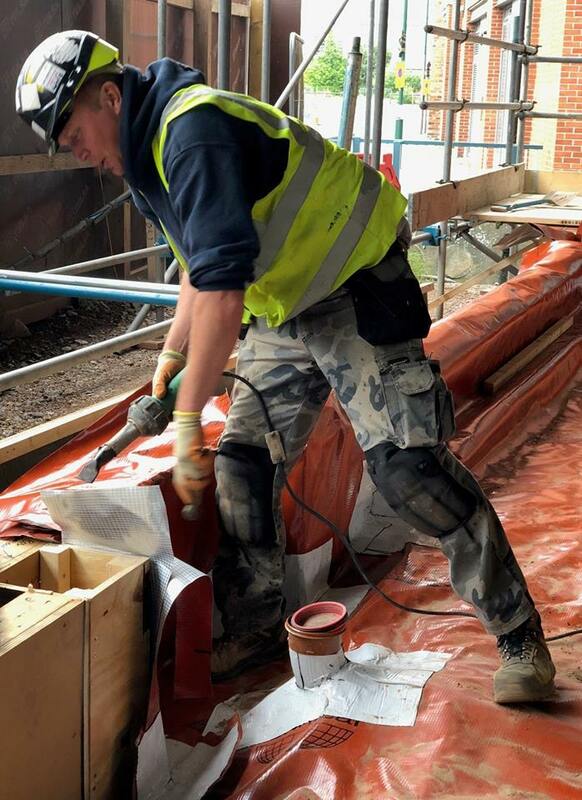 PAGeocontracting’s installation technicians work with the widest range of geosynthetics membranes in the sector so have un-paralleled expertise in ensuring that all work is carried out in accordance with manufacturers recommendations. As a partner company to PAGeoTechnical, PAGeocontracting benefits from the close relationship with the largest international manufacturers on whose knowledge they can draw. The first specialist contractor in the country to obtain an NVQ2 qualification for installation operatives, the company has a policy of developing all its technicians to this level of competency. The contracts management team have IOSH qualification as well as SSSTS for lead installers. The directors take safety management extremely seriously and the company carries CHAS accreditation. PAGeoContracting installation technicians are experienced in all aspects of geosynthetic membrane installation covered by PAG. Gas barrier installation, containment membranes, bioremediation and invasive weed control as well as complicated detailed work involving enclosed spaces. PAGC’s project management team can manage contracts on behalf of our clients using specialist sub contractors as well as our own directly employed technicians. Each approved sub-Contractor is rigorously vetted to see that they meet our strict standards so that work done on this basis is equally as well completed as if we had done it ourselves. Given the fluctuations in workload over the year this ensure that we can meet our clients’ expectation and programmes so far as is possible throughout the year. As well as having access to most of the commercially available membrane welding equipment PAGC have exclusive ownership of the Monarflex extrusion welding process and equipment. This machinery ensures rapid installation of gas barriers in complex structures and can also be used for joining light membranes in large planar applications.